Since winning the inaugural HVACR Business Tops-in- Trucks Fleet Design contest in 2007, Carmine Galletta, owner of GallettAir Inc. in Long Island, N.Y., has continued to make a name for his business using mobile marketing. Back then; in addition to his 25 trucks and vans, his winning wrap was featured on a Chevy HHR that was bold and memorable. 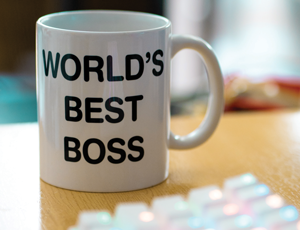 Today, he’s got something that’s really going to turn heads and make his company stand out. 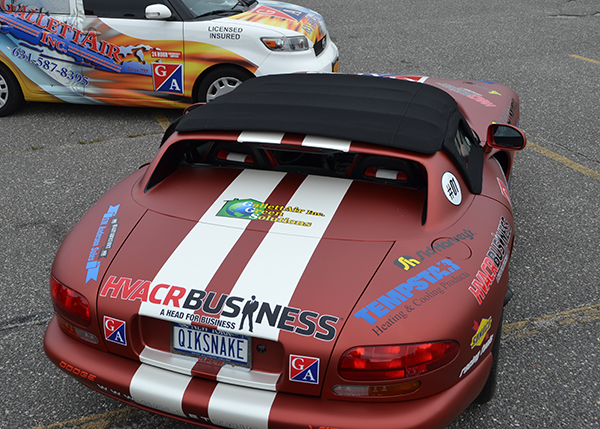 His 1994 Dodge Viper has been wrapped to look like a racecar, featuring his own company logo prominently on all four sides, along with the logos of many of his suppliers and business partners (including HVACR Business magazine). It wasn’t until recently, however, that the Viper got the full-on logo treatment, though it had been on Galletta’s mind for a while. Galletta employed a company called 631 Coatings in Bay Shore, N.Y. to put a wrap on the red car to give it an anodized aluminum look. Then, working off a pencil sketch he did himself, Galletta went to a professional graphic artist to mock up all the logos. “It’s amazing how it went from almost nothing to what it is now,” Galletta says. As the season gets underway this year, Galletta is anxious to get his newly designed Viper out in the public eye. He plans to take it to some of the suppliers whose logos are on it, as well as community events, parades and local car shows. “Sid Harvey’s is opening a new branch, so I’ll probably drive it out there for their grand opening,” Galletta says. Mostly, he plans to simply drive it around Long Island and advertise his company. 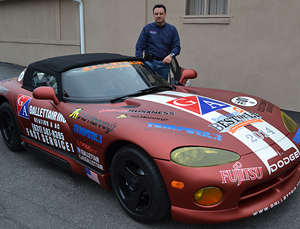 A car enthusiast, this isn’t the first time Galletta has used a unique automobile to market his company. Previously, he’s put his logo on a 1961 Ford truck. He also capitalized on the PT Cruiser craze when that model was brand new. Galletta isn’t the only contractor who uses a conversation piece automobile to keep his company name top of mind. 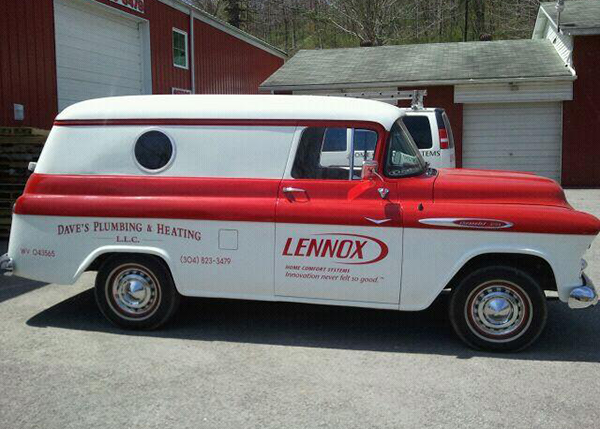 Max Chevalier, owner of Dave’s Plumbing & Heating LLC in Belington, W.Va. drives a 1957 Chevy panel truck with his company’s logo and information on it. Chevalier says. “Most people guess mid-50s, and are surprised to learn it’s a ’57.” Chevalier bought the truck about six years ago and since then he hasn’t seen another one on the road. Combined with the bold red and white paint job and lettering for Dave’s Plumbing & Heating, the Chevy is definitely a showstopper. Everything about the truck is original — the engine, the interior — though Chevalier admits the body was a bit rough when he bought it. Chevalier puts about 3,000 miles a year on it — from April to November — and uses it for company branding only. He takes it to distributor events and parades, as well as driving it to do estimates or take small equipment out to jobs. This isn’t Chevalier’s first classic car either. He had been fixing up a 1948 Plymouth when a friend suggested he fix one up for his business. When Chevalier found the ’57 Chevy, he immediately knew it was perfect (he has five other Chevy and GMC vans in his fleet). He sold the Plymouth and used the money to purchase the panel truck. A classic car with a company logo on it definitely turns heads, so Rich Imfeld took it a step further when he decided to make the move. Imfeld owns I.C. 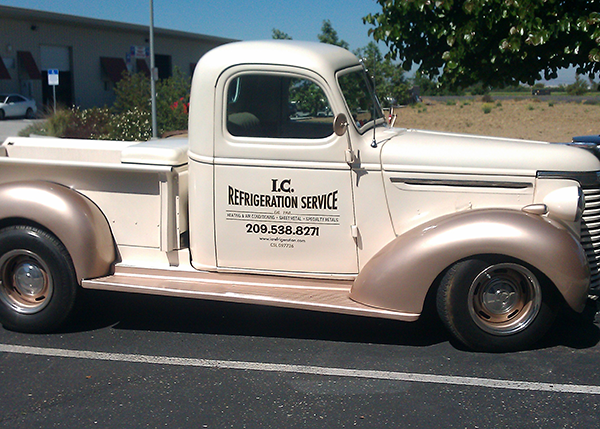 Refrigeration Inc. in Ceres, Calif., a 74-year-old, third-generation company. To make his showpiece unique, Imfeld purchased a Chevy truck from 1940— the same year his grandfather started the company. The idea actually came about through Imfeld’s ACCA mix group. “They really pushed me to pursue this; to move forward with a truck the same year our company was founded,” Imfeld said. Imfeld’s 1940 Chevy certainly sets people talking. On a recent 300-mile trip up and down California, Imfeld said passersby were honking at him the whole way. State troopers aren’t the only ones who strike up a conversation with Imfeld. 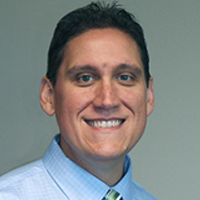 As a mostly commercial service company, Imfeld deals a lot with facility managers, who he’s found enjoy talking about the truck as much as fly-fishing. Imfeld admits he’s always liked to tinker and, looking back, said the one thing he’d do different is to find a 1940 truck to which he could have done a complete frame-up restoration. Something he is happy he did, though, is put the original 1940s I.C. Refrigeration logo on it (with the current phone number and website, of course). As our annual Tops-in-Trucks Fleet Design contest shows, it’s all about making an impression with your mobile billboards. Galletta, Chevalier and Imfeld have taken this a step further with their unique take on top-of-mind marketing through their vintage — and sporty — cars branded with their respective companies. 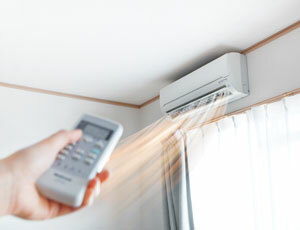 HVACR companies are always looking to generate leads, and sometimes it’s as simple as putting your name out there in a memorable way. All three business owners attest, a lot of calls come in referencing their cool cars. And that’s what it’s all about.